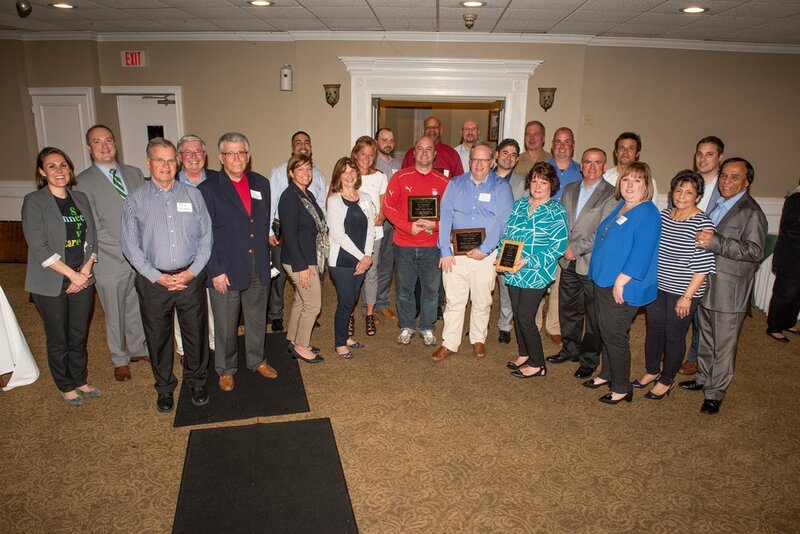 STRATFORD – (April 30, 2018) Sterling House Community Center celebrated its special Volunteer Appreciation Dinner on April 26, 2018, at Vazzano’s Four Seasons while also remembering two special teens, Debbie Diaz and Erin Jockers. Sterling House Executive Director Amanda Meeson welcomed the contingent or more than 150 persons with praise and thanks for the service of the hundreds of volunteers. “You are what makes Sterling House what it is – a Stratford community asset. “Tonight, we recognize a special selection of our volunteers in memory of three incredible females in Sterling House history: Debbie Diaz, Erin Jockers and Mary Hardy - all of whom embodied the spirit of community service and helped forward the mission of Sterling House,” Meeson said. And what has been the impact of volunteers at Sterling House?” she asked. In all, volunteers have impacted “more than 8,000 people,” including 1,000 in athletic programs, 1,000 in child development and youth programs, 1,000 who support and participate in our annual events, more than 1,000 in visitors and community groups who utilize the house, and more than 4,000 people served by the Food Pantry and Resource Connection program, she said. Sterling House Board Chair Jamie Millward then took to the podium to thank the volunteers and to then ask the audience to close their eyes and imagine a few things. Imagine all the Sterling House youth teams without its volunteer coaches. Imagine the Sterling House Food Pantry without its volunteer food contribution and workers. Imagine no summer day camp. Imagine no youth volunteers helping homeowners rake leaves in the fall and shovel snow in the winter. Imagine our community without Sterling House volunteers, Millward continued. Simply put, he said, without its volunteers there would be little left of Sterling House. Four area business and individuals – Encon, Stop & Shop, and Dave Estrella and Joe Mulligan from the Sterling House lacrosse program – were recognized with the Erin Jockers Friends of Sterling House Awards in memory of Erin Jockers, who was also killed in the car accident that took Debbie Diaz’s life. Sterling House program and department staff then rose to recognize and ask to stand volunteers for their own programs, respectively, including for the front office, resource center/food pantry, youth programs, special events and athletics. Last but not least, Sterling House Board Treasurer Beth Benson was called upon to accept The Mary Hardy Award for her many volunteer contributions during the last 12 months, Meeson said. The award is named for former Sterling House executive director Mary Hardy who worked at Sterling House from 1933 until her retirement in 1978. Hardy died this past January in Stratford at the age of 101.